Take control of your wildest dreams with FANTASY. For a limited time you can also get a free download of starRo’s “Fantasy” featuring BOSCO here. Sign up for our mailing list here by October 5th and you’ll be entered to win! * Until you know how Fantasy affects you, take caution when operating a vehicle or heavy machinery. The cure for reality awaits you with FANTASY, our first ever boredom reliever and inhibition reducer. Hating life? FANTASY will give you the memories you deserve! Talk to N.O.M.A.D.I.C. to find out if prescription FANTASY is right for you. 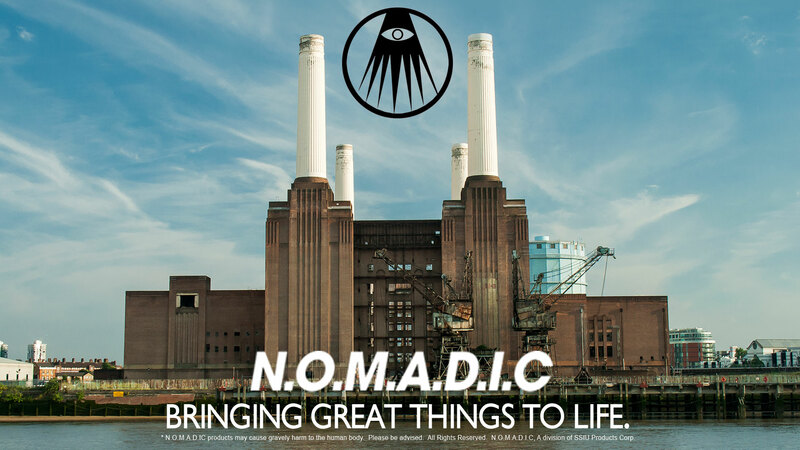 New from N.O.M.A.D.I.C. - HORROR TIME MASKS! They're fun, they're frightening and they react when you watch the @LILGNAR video coming your way 11/2! Coming soon from N.O.M.A.D.I.C. - HORROR TIME MASKS!